The new Crown Point development is situated on approximately 20 acres in unincorporated Lake County, Indiana. The new subdivision will be located at 6120 West 125th Avenue, Crown Point. 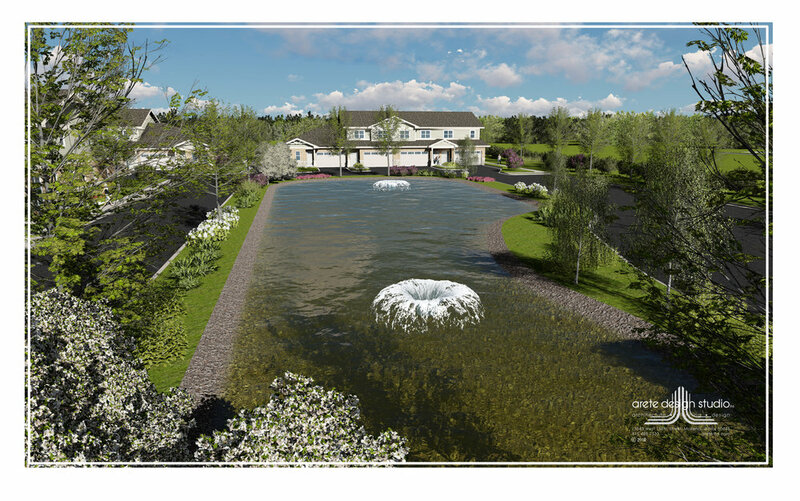 The subdivision will offer large 1-acre homesites serviced by well and septic. Situated in a stable community in Lake County, Indiana, this community offers quality schools. Crown Point Community School was named as Indiana Performance Qualified School District for multiple years. Major roads and interstate 65 are nicely accessible for convenience. Prairie Glen of New Lenox will offer a design product that are nicely sized single family units. Located just west of Marley Road, on the north side of Rt. 30, this community is secluded but near all needed services. Prairie Glen will offer housing product in ranch and two-story design styles. Prairie Glen Community offers the conveniences of being close to services including emergency, healthcare, retail and dining. The Village of New Lenox is conveniently located approximately 35 miles southwest of downtown Chicago and near major roadways which includes Rt. 30 and interstates. The village offers Chicago water for water quality. The school system boasts an excellent educationally program that prepares the future work force of America. All of these benefits are a great resume of continual growth which reflects well for the community. Tuscan Hills, an award-winning community located at the northeast corner of Manhattan Monee Road and 80th Avenue, unincorporated Will County. This site is comprised of 95 acres with 60 homesites. Each homesite is almost ½ acre in size and provides all utilities. Still available are lots 38 and 44 for purchase. Conservation and beauty are designed in to this plan and give a homeowner a peaceful living style. Included as amenities are an 8-acre lake with trails, gazebo and other features throughout. This development has been recognized by the EPA and Chicago Wilderness for its exemplary in design and utilizing conservation in best manage practices. Nestled in the charming town of Mokena, Hickory Sage is a 15-townhome community located at 11215 First Street. The development is nicely located in walking distance to the Metra Station. Other services in the area are retail and emergency services. Housing product that are being offered are ranch and 2-story townhomes which are located in nicely landscaped area. The school district is highly rated in the state and at the top for the school education. All utilities will be provided for this site. Conveniently located in the town of Merrillville, Indiana, this community offer 50 duplex-units. The community is approximately located at 7700 Clark Street, Merrillville. The beauty of the Oaks at Fox Moor is found in homesites fronting open space which takes advantage of beautiful scenic views. The units will be offered as ranch and two-story design styles. On the west side of this community will be a regional park and a regional trail system. Conveniences like shopping in the area include the Southlake Mall and many other retail stores. Major roads include interstate 65 and Rt. 30 just minutes away.